KNX Lighting Control | Gravity International W.L.L. Lighting Control System In Qatar. KNX System integrator company in Qatar. The lighting control system allows the management of different functions in a simultaneous and integrated way. All the components of the lighting control system are interconnected via an electronic circuit that can be programmed according to the user preferences. It is possible to carry out special functions, such as simultaneous activation of lights after getting inside the building by using one single control device or by using the Touch Screen menu. We are certified EIB KNX partners for Hotel, office and Building automation systems & well experienced in Lighting Control System Programming, Testing, and Commissioning and have completed many projects in Qatar. We’re providing Service both centralized & decentralized Lighting Control System in Qatar. 1 Indoor lights ON/OFF and dimming. 4.Tower balcony lighting with timers. 5.Weekday’s lighting control inside offices. The KNX presence detector is used for presence monitoring and motion detection indoors. It features an integrated bus coupling and three digital PIR sensors and is equipped with a brightness sensor. 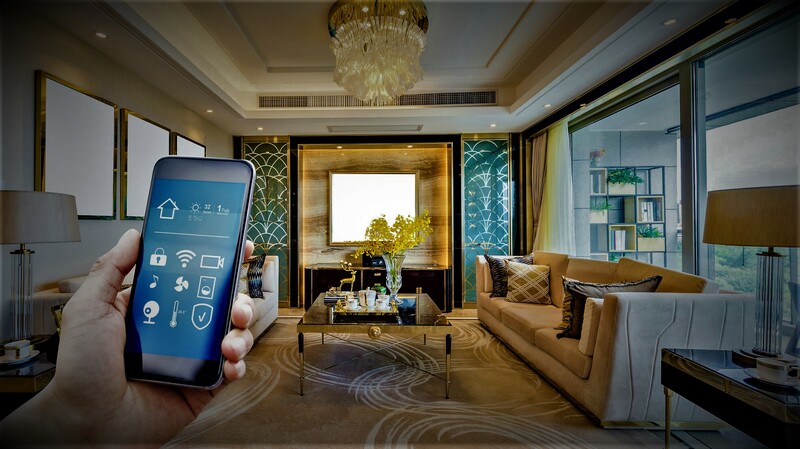 The KNX presence detector can serve as an individual device, main unit, or auxiliary unit at the user’s option, and enables fully-automatic or semi-automatic lighting control. Presence and motion detector 360° offers several functions for automated lighting. First and foremost is the reliable detection of movement. The presence and motion detector may, however, also be used simply as a twilight switch. Functions like dynamic overrun time or occupancy simulation are set using an IR remote control. The surface-mounted design of the housing enables efficient, flexible installation. Please send your inquiry regarding programming, testing and commissioning KNX lighting system .